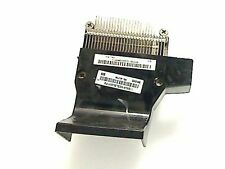 IBM Lenovo Kühler FRU 03T9636 03T7235 CPU Heatsink Fan 4-Pin ThinkCentre Kit. Ventirad IBM Lenovo FRU 03T9636. 1x Kühler FRAU: 03T9636. For more information see the websites of the manufacturer. 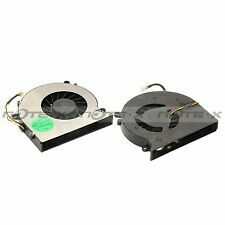 ORIGINAL Fan laptop avec heatsink LENOVO Flex 3-1570 PEAQ PNB T2015-I5B1 360 T2015-I5B1 460.03R0M.0011 A01. Ventilateur CPU Fan refroidisseur Lenovo ThinkPad T61 14,1"
Ventilateur CPU Fan refroidisseur Lenovo ThinkPad T61 15,4"
Manufacturer: Lenovo Group Limited. Compatibility: Lenovo ThinkCenter Tiny IV Computer System. Application/Usage: Remove Dust. ThinkCentre Tiny IV Dust Shield is the perfect shield for your ThinkCentre Tiny IV systems, preventing dust and keeping your Tiny clean. Manufacturer: Lenovo Group Limited. Compatibility: Lenovo ThinkCenter Tiny IV Computer System. ThinkCentre Tiny IV Dust Shield is the perfect shield for your ThinkCentre Tiny IV systems, preventing dust and keeping your Tiny clean. Y430 G430 K41 K42 Y530 E42. FAN FAN LENOVO. EAN 4898000067521. MORE YOU ORDER THE MORE YOU SAVE. Numéro de pièce fabricant Non applicable. EAN 4898000758504. or transfer. -Check (amounts less than 600 ). Numéro de pièce fabricant Non applicable. EAN 4898000405637. or transfer. don't live in l?. -Check (amounts less than 600 ). Fan Fan Lenovo Ideapad Y430 G430 K41 K42 Y530 E42. EAN 4898000266221. or transfer. -Check (amounts less than 600 ). Fan Fan Lenovo Ideapad Y430 G430 K41 K42 Y530 E42. EAN 4898000405620. or transfer. -Check (amounts less than 600 ). Y430 G430 K41 K42 Y530 E42. FAN FAN LENOVO. EAN 4898000552621. MORE YOU ORDER THE MORE YOU SAVE. Y430 G430 K41 K42 Y530 E42. FAN FAN LENOVO. EAN 4898000914733. MORE YOU ORDER THE MORE YOU SAVE. Fan Fan Lenovo Ideapad Y430 G430 K41 K42 Y530 E42. EAN 4898000266214. Product reconditioned. or transfer. -Check (amounts less than 600 ). Fan Fan Lenovo Ideapad Y430 G430 K41 K42 Y530 E42. or transfer. don't live in l?. EAN 4898000266238. -Check (amounts less than 600 ). Reference: 683-VTY430-R.
Y430 G430 K41 K42 Y530 E42. FAN FAN LENOVO. EAN 4898000067873. MORE YOU ORDER THE MORE YOU SAVE.